At The Vet microchipping costs start from £9.99 but please click here to see the price at your local clinic. All you have to do is bring your cat, dog or rabbit to The Vet (no appointment needed) and tell the receptionist you’d like a microchip for your pet. Microchipping is the starting point: keeping details updated is key! Did you know? 12 dogs per day are put down in the UK because the owners can’t be traced or contacted (even though the dogs are microchipped). So, it’s equally as important to ensure your pets microchip is kept up to date. Your full name, address and contact details. The breeder’s licence number and the local authority in which they are licenced (if applicable). Your pet’s assigned identification number, name, gender, breed, date of birth and even their colour. The new law that was enforced last April 2016 requires all dogs in England to be microchipped, it also means that all microchips must be up-to-date with the owner’s details. The microchip won’t work if the details aren’t current. 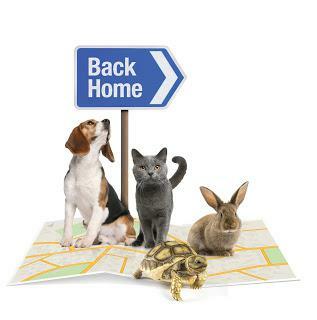 If your pet is found, they will be scanned at the veterinary practice or animal welfare shelter they have been taken to, the team will then contact the national 24-hour database to find your details and reunite your pet with you. Where are your pets microchip details kept? Over eight million pet owners trust Petlog with their information, and so do we. At The Vet, we use the Petlog database to store your pet’s details. Once your pet has been microchipped at The Vet, the team will add your microchip information to Petlog, this is the United Kingdom’s largest database, run by the Kennel Club. Click here to visit Petlog. If you aren’t a premium customer with Petlog, we recommend you contact the Petlog team immediately if your pet goes missing. The team’s lost and found lines are open 24/7, 365 days a year and are based in the UK. They will also be able to change or update your pet’s microchip details – just tell them your pet’s 15-digit microchip number and your Petlog ID number (you can find both of these on your printed certificate which is given to you after we give your pet their microchip). If you don’t know your pet’s ID number just pop into the clinic for a quick and easy scan, we can then get the number for you. It’ll only take a few seconds! Failure to update details can lead to a warning, if this notice is ignored you could be fined up to £500, if you still don’t comply with the law after this your dog could be seized by an enforcer. So please be safe and a responsible owner and keep your details up-to-date. If you would like to microchip your pet or would like more information, drop in during our consulting hours and our team can help!